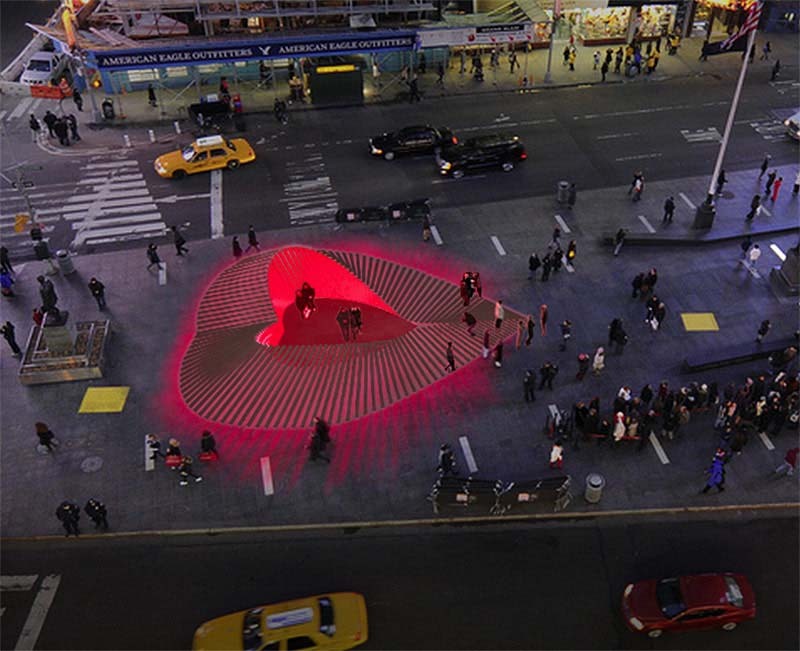 For the fifth edition of Times Square’s annual Heartwalk installation, which conveniently coincides with Valentine’s Day, Situ Studio has come up with an especially touching work. Using salvaged Hurricane Sandy debris from the numerous destroyed beach boardwalks, Situ created a heart-shaped “room within the city”. The weathered wooden planks lift in an elegant pattern to form an illuminated heart enclosure. I see it as a love letter to the local coastlines. If you’re in NYC, you can visit the installation at Duffy Square through March 8th. Photos: Situ Studio; Ka Man Tse for Times Sq. Allicance; Inhabitat; and #HeartwalkTSq on Instagram. 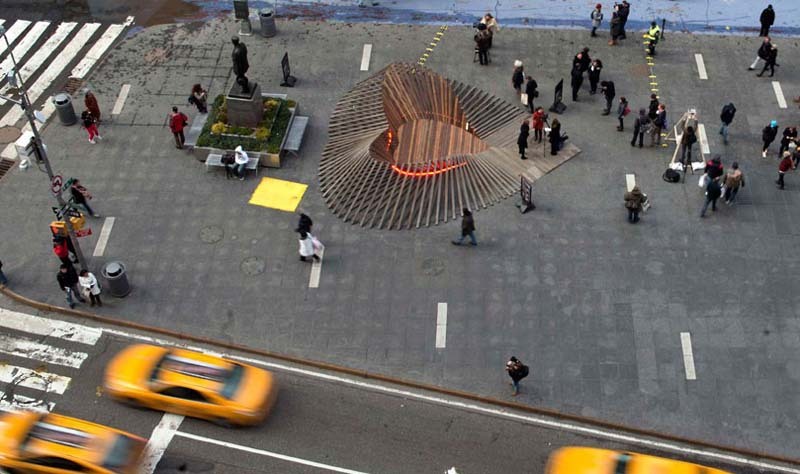 This entry was posted in Architecture, Art, Event, NYC. Bookmark the permalink. Happy 💌 💝 💘 to you! Good, Old Times Square! This is just beautiful. Thanks.